Journeys. They’re what life is all about. From customer journeys, to business ones, to our own personal journey, every single one of us is always on the move in some form or another. It’s pretty amazing when you think about it. But sometimes these excursions can be literal – like when a company uproots from one location and moves to the other side of town. That’s exactly the kind of trip we’ve just taken here at Seabrook, waving goodbye to our office space in Chorlton and settling down in Ancoats near Manchester city centre. Seabrook has been up and running for 11 years, helping brands to differentiate themselves from the competition. Chorlton was, and always will be, our official birthplace, and whilst we have so many happy memories filtering through our office on Wilbraham Road, we knew 2017 was the time to broaden our horizons. Since opening our doors more than a decade ago, we’ve grown to the point where we can now offer a wide variety of business support services. This has led to the development of a substantial client base and an expansive network of creative partners. Our relationships with local brands reached into the freelance world too, and we even offered a hot desking space for freelancers to flex their creative muscles. But with growth comes change. Working culture is relative to surroundings, and with increased personnel and faster operational speeds coming into play, our Chorlton workspace was no longer sufficient. We needed a fresh home for our new chapter – a place where we could redefine our company culture whilst honing our focus. The city skyline in Manchester is getting fuller every day, with new buildings shooting up left, right, and centre from Castlefield to Northern Quarter. With so many potential places to lay our hat, how did we choose a place to call home? Simply put – we were seeking a busy, lively, energetic area to accommodate our enthusiastic approach and business style. And as soon as we stepped into Ancoats, we knew we’d found it. Like the iconic Manchester bee, Ancoats is buzzing. All kinds of brands are being drawn in by the dynamic atmosphere and stunning architecture, and the area is flourishing like never before. There’s a strong sense of purpose here too – with productivity top of the agenda. 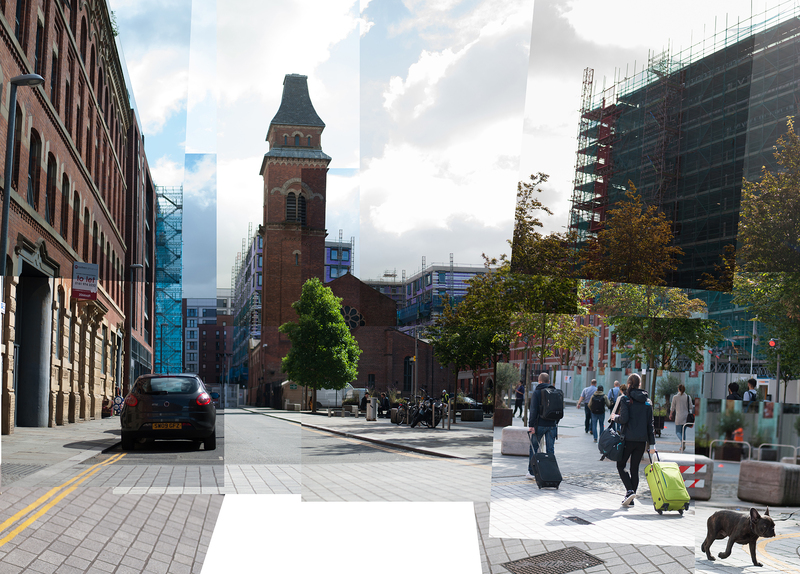 Ancoats is a hub for creatives, rendering it a perfect match for Seabrook. Placing our former environments alongside our current surroundings really puts the magnitude of our move into context. Workspace: Basic office premises to 200-year-old converted mill. A bit different to say the least! There’s never a dull moment at Seabrook, and now we’re all set up in our new pad in Ancoats, we’re better equipped to handle bigger projects than ever before. Get in touch with us today on 0161 860 7010 or hello@seabrook-associates.com for a chat, and we’ll tell you all about what we can do for your business.